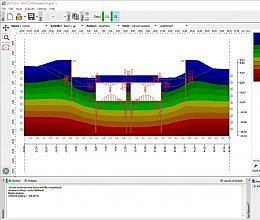 GEO5 is a suite of programs for geotechnical analysis. The software package includes individual programs that are closely linked to each other and run in the same environment. Each program solves a specific geotechnical problem. Besides common geotechnical engineering tasks, the suite also includes highly sophisticated applications for the analysis of tunnels, building damage due to tunnelling, stability of rock slopes etc. GEO5 consists of wide range of powerful programs based on analytical methods and the Finite Element Method. 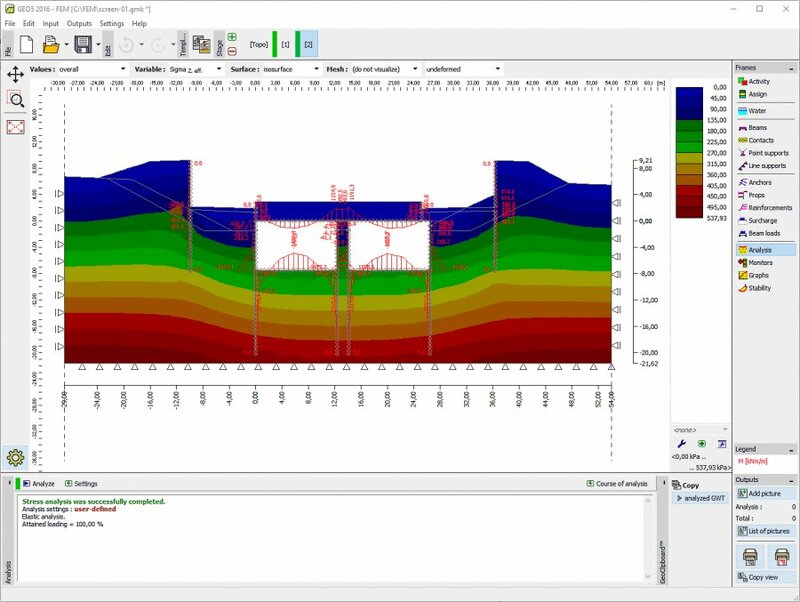 Analytical methods of computation (e. g. slope stability, sheeting design) allow users to design and check structures quickly and efficiently. The designed structure may be transferred into the FEM application where the general analysis of the structure is performed using the Finite Element Method. This not only saves designers time but also compares two independent solutions, thereby increasing design safety. * GEO5 download link provides demo version of the software. SVOFFICE suite offers a geotechnical and geoenvironmental applications focus and is well suited for solving complex flow and contaminant transport models. Program suite FIN EC is a great tool for design and static and dynamic analysis of 2D and 3D frame structures. PROKON Structural Analysis and Design is a suite of over forty structural analysis, design and detailing programs. Thanks for the free software links. GEO5 has been rated 4.8 out of 5 points. A total of 4 votes cast and 2 users reviewed the software.